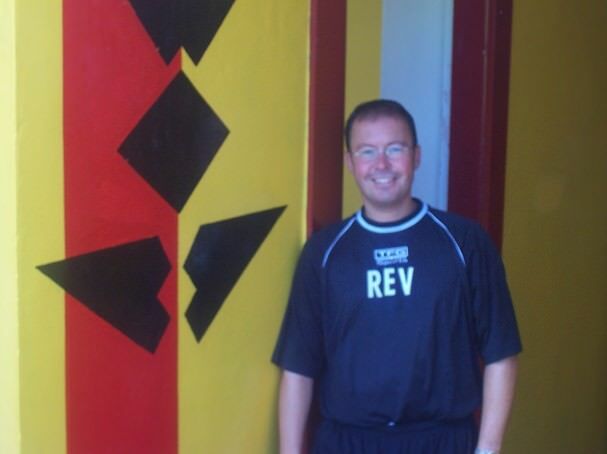 Sports Chaplaincy Scotland effectively began in 1998 when Mark Fleming was appointed as chaplain to Partick Thistle FC. His appointment came in the aftermath of what was probably the most turbulent time in their history when the club had just been saved from extinction by their fans’ fundraising efforts. At that time four other Scottish clubs were known to have chaplains. John Boyers, chaplain to Manchester United FC and founder of SCORE (the original name of Sports Chaplaincy UK) made regular trips up North to encourage his Scottish counterparts and suggested that Mark start to visit other clubs to offer to source and train chaplains for them. 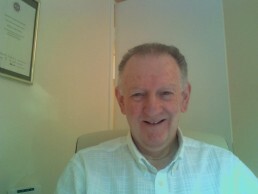 In 2004, Mark appointed chaplains at Kilmarnock FC and St Mirren FC respectively. 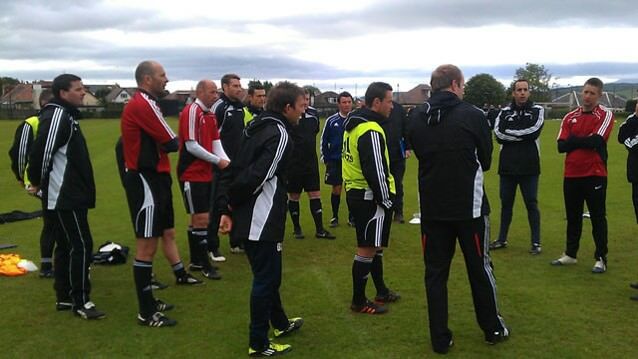 From 2008 Mark was invited by the Scottish FA to deliver a seminar on the basics and benefits of chaplaincy within football at the UEFA A Licence coaching course. 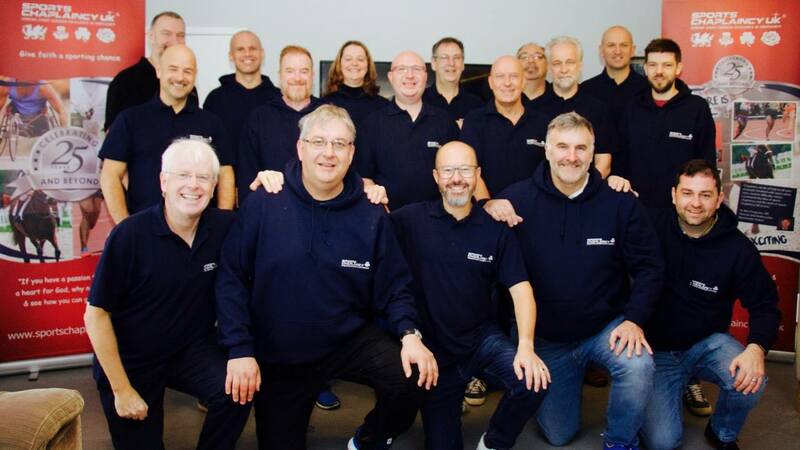 By the following year, the number of chaplains in SPFL clubs grew to 22 and by 2011, 36 out of the 42 SPFL clubs had chaplains (the number now stands at 40). 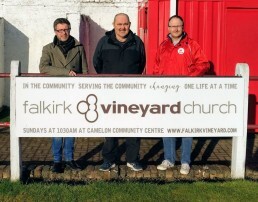 By this stage clubs from the Highland League, Lowland League, Women’s Premier League and the Junior Football Association also began to make enquiries about having a chaplain and by 2014 Mark became full-time in his role as pastoral support director for Scottish football in order to continue to lead the way forward. 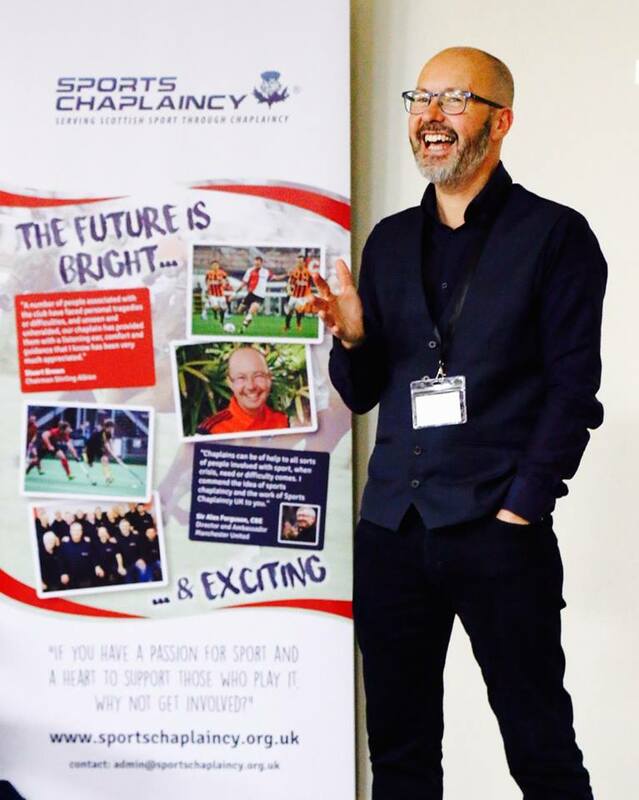 Today there are upwards of 100 chaplains at football clubs in Scotland and Mark also serves as chaplain to the Scottish FA. 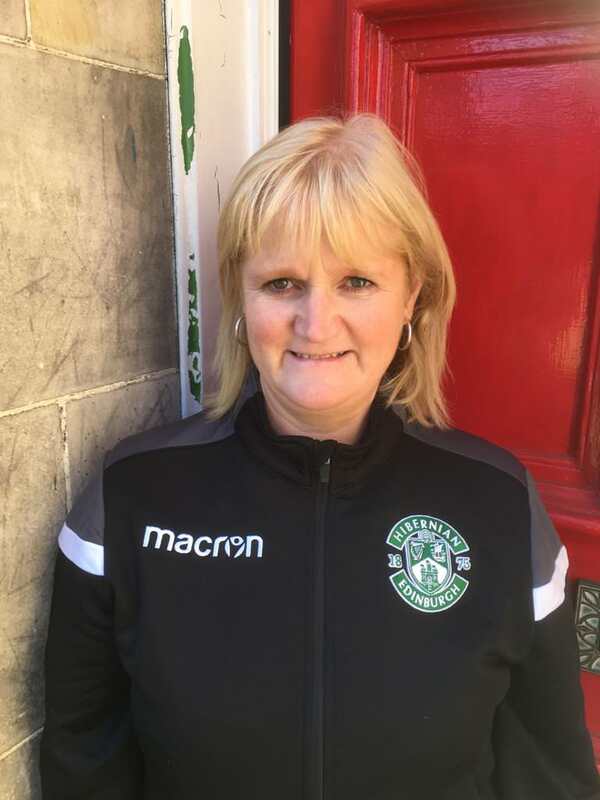 Catriona Lamont is Sports Chaplaincy Scotland administrator as well as being chaplain to Hibernian Women FC. “I have benefited from the invaluable input of Sports Chaplaincy from my time as captain at Partick Thistle in 1999, right through to present day. There is no doubt in my mind that the sports chaplains do a power of work for the good of the game, as well as making a large positive impact on the role models within it, which in turn has an influence on society at large. I know of a great number of players and coaches who have been helped with gambling problems, depression, anxiety, alcohol misuse, bereavement, relationship issues, sectarian abuse and how to cope with success and failure in the public eye. I dread to think what would have happened to these players and coaches had they not been helped and supported by the chaplains.” Danny Lennon. 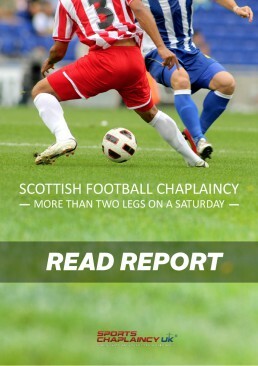 Sports Chaplaincy Scotland is now serving other sports. 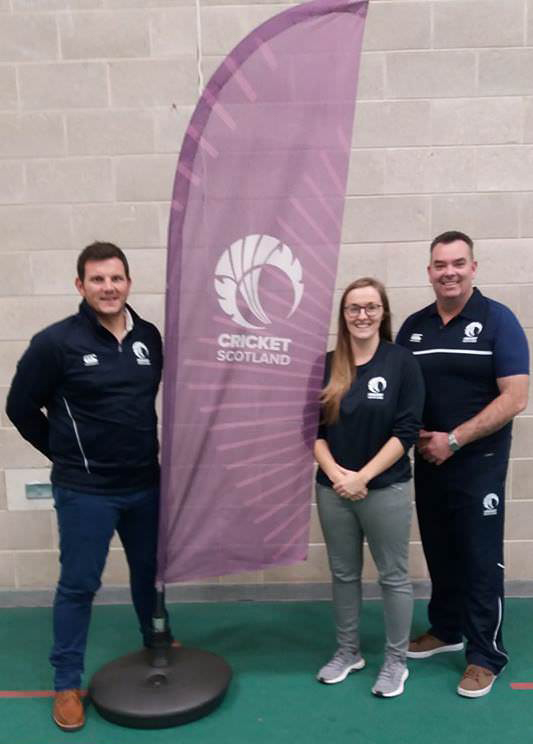 Ben Thorpe is now chaplain to Cricket Scotland Wildcats as well as being the first Sports Chaplaincy appointment in Scottish Rugby at Stirling County Rugby Football Club. 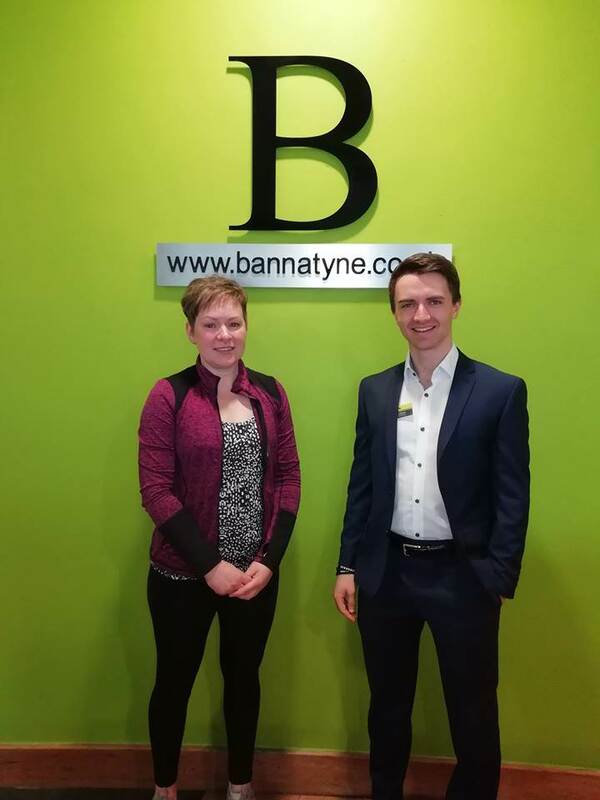 Also Elma Beaton has become the first gym chaplain in Scotland, at Bannatyne’s Gym, Inverness. A very special thank you to our Club Chaplain, Duncan Strathdee. 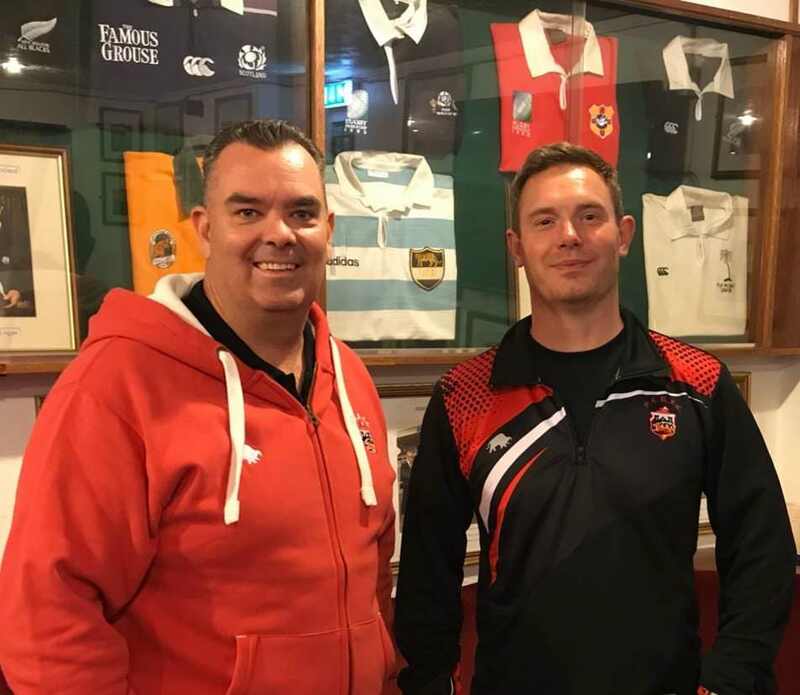 A number of people associated with the club have faced personal difficulties over the course of this season and, unseen and unheralded, Duncan has provided them with a listening ear, comfort and guidance that I know has been very much appreciated. 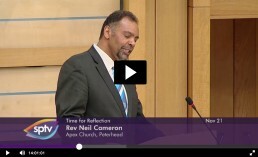 Chaplaincy brings a personal touch- people feel they can be listened to as individuals. 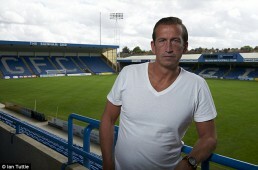 If chaplaincy was established in every club, I believe it would be of huge benefit to the game as a whole.